Generate a clear HTML sitemap to help customers easily navigate your website. Include/exclude particular pages from the sitemap and customize its layout to make it perfectly structured. Why do you need an HTML sitemap for your website? An HTML sitemap enables store visitors to quickly navigate a website using a properly organized text version of the store menu. Customers willingly use the sitemap to locate a topic they are unable to find by searching the site. Therefore, by providing clients with a well-structured sitemap you'll dramatically increase customer satisfaction and improve store usability making your website more attractive to search engines as well. As soon as default Magento 2 functionality doesn't provide a ready-to-use HTML sitemap, you need a tool to quickly generate it in a couple of clicks. With the HTML Sitemap Magento 2 Extension admin users will be able to create a detailed sitemap and configure it depending on their specific needs. The module allows displaying not only products and categories, but CMS-pages and any additional links. It also lets customers use a quick search window to find necessary information in no time. *The option works only with the Landing Pages extension. 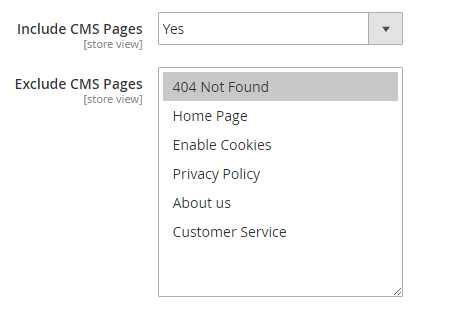 Due to flexible settings you can easily exclude any CMS-pages as well as 'out of stock' products from your HTML sitemap to display only the links you really need. Display a quick search window on the Magento 2 HTML sitemap to let customers find necessary pages in seconds. Relevant metadata for your store pages help search engines to easier understand your content. With the extension you can indicate a custom meta description for your HTML sitemap to get it properly indexed. Drag-and-drop the blocks to set the priority and importance of the content. The highest position assumes that the entity will be crawled by Google in the first place. You can easily customize your HTML sitemap layout by setting the number of columns for each content block separately. Specify unique subheaders for each sitamap block to customize the layout depending on your specific requirements. 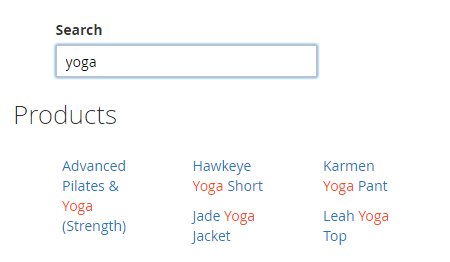 To accurately organize multiple product links you can not only group them in the alphabetical order but split by the first letter. This way customers will be able to quickly find the column with the products they need. This is simple and must have SEO tool for every online shop. Works as described. Easy to configure. No support needed. Thanks a lot!